IMP provides so many amazing opportunities for us to build community during a transitional time of our lives. Some of us will only be in Iowa City for one year, others will be here for more than a decade, but all of us are part of a remarkable group that provides friendship as we survive the years of medical training. 1) You can request a meal train even if you don’t “need” it! 2) It is easier to sign up and share a meal than you think! Do not hesitate to put in a request for a meal train, even if you do not think you need it. I don’t mean to sound pushy; if you already received a bunch of freezer meals, have a different group providing you a meal train, or maybe it isn’t your thing, no worries! Do what is best for you! However, I want to let you know, it is okay to sign up even if you do not think you need it. “Need” is a funny word. It can sound so desperate when the truth is most of us are very self-reliant. Guess what - it is okay to let ourselves get spoiled by our friends! We always say that we are here for each other to provide support. It is important to give others the opportunity to provide support too. This is how we build community: making space to let others serve us and seeking opportunities to serve others. IMP post-partum meal trains are just one way that we can participate in creating a community of support. Now, let me offer some suggestions so that you can sign up for a meal train! I usually cook a double batch of whatever I am going to make my own family for dinner. We eat half and I pack up half to drop off the next day. O, Costco chicken, thank you for all the easy meals you have provided my family! You can add the chicken to literally anything. Pasta, rice, salad, sandwiches, soup, tacos, waffles & casseroles. Plus throw the bones in a pot of simmering water, and now you have chicken broth to make soup out of for later in the week! I have become an expert at prepping a Costco chicken. ​My Tips: break off the wings, break off the legs, break off the thighs, pull the breasts away from the bones and slice. Then boil the rest of the carcass for soup. Send a bag of tortillas, a protein (chicken, ground meat, beans, etc), a mixture of toppings (tomatoes, corn, onion, bell pepper, avocado, cilantro, lettuce, cheese, etc), a side of rice and beans, chips and salsa! I will literally put anything on a taco - butternut squash, sweet potatoes, zucchini, and lentils all frequently show up on tacos at my house. You can do hard shell tacos, soft shell tacos, or even taco salad! Yum! Send a box of pasta with sauce, protein and veggies. Or cook up the pasta and mix everything together so it is even easier (Costco pesto is an easy option here)! Anything can go in a pasta! Maddie (my 3 year old) “cooked” dinner for our family a few nights ago, and she picked carrots, asparagus, bell pepper and shredded chicken to be mixed into whole wheat pasta drizzled with pesto. And she ate every last bite on her plate. Fried Rice is another super easy meal because you can put anything in it! Chickpeas, eggs, cashews and any meat are good proteins. Any and all veggies work well! Make a ton of rice for dinner the day before, and then stir fry the rest! Another bonus: it's easy to alter depending on allergies and extreme dislikes. Annnnnnd you get to use up random veggies you have from making other dishes. Easy peasy! Pulled pork, pulled chicken, and shredded beef are all very easy meals you can throw in the slow cooker. Send with buns, a salad mix such as coleslaw, some beans, a potato salad, veggie or fruit mix, cornbread, sweet Iowa corn on the cob… really the sky is the limit. I hope I have given you some inspiration to sign up for a meal train or the reassurance to take IMP up on receiving one. Let me know in the comments your favorite meals you have made or received as part of meal trains. Get to know the Iowa Medical Partners officers! There are some great tips and advice in here, I hope you enjoy reading it as much as I have enjoyed compiling this post. Advice: don’t wait to make friends! Your resident friends will become your family and the more you jump right in the deeper connections you can make. Some of our residency friends will be friends we will stay friends with for LIFE! Favorite Activity: So many things! NewBo Market in Cedar Rapids, Lattes & Cinnamon rolls at The Encounter Cafe, Lattes & Almond Croissants at Cortado, McBride Raptor Center, Taste of Iowa City, Corn Maze at Colony Pumpkin Patch, Geyer’s Pizza Oven Farm, Downtown Hunting for Elves, Kites over Hoover Park. ​Advice: Go to Rapid Creek Cidery for brunch on Sunday morning. It is a truly beautiful experience, especially when the weather is nice and you can sit on the patio overlooking Wilson’s apple orchard. Also take the kids to Red Vespa where they can build their own pizza. Maddie went on her birthday, and all her “training” at the Children’s Museum pizzeria made it a truly memorable experience for her. Favorite Activity: Hiking at Wikiup Hill Nature Center or Indian Creek Nature Center, with a pit-stop in Ely on the way home for Dan and Debbie's ice cream. Advice: Get out and explore. While Iowa City is great, we are surrounded by a lot of small towns that have much to offer. Explore and you'll find great restaurants, small town libraries and movie theaters, and unique shopping. My favorite small town is Mount Vernon - quaint downtown district, great splash pad for young kids, and the historic Bijou Theater. West Liberty also has a great movie theater with delicious, local popcorn. Enjoy exploring! Favorite Activity: Enjoying all the parks in the area with my girls. Going to Geyer's Oven Pizza on the Farm in the summer. Best Vacation Spot: Pikes Peak State Park, it has great camping, hiking and views. Name: Katelyn Sexton - call me Kate! Year of Training: 3/3 !!!!! The end is in sight! Best Vacation Spot: I think Chicago is the obvious choice, but Kansas City and Des Moines are so worth the short drive! So much to do there. Minneapolis is also fun. My advice is to take advantage when you can of how central Iowa City is to so many great Midwest cities! Advice: Do your grocery shopping at ALDI! Visit Kalona and go to Stringtown grocery - so fun and cheap! Remember that you only get out of something what you put into it, so in respect to IMP, go to things! It can feel intimidating, but everyone is so welcoming and nice. You’ll never regret making new friends - especially with people who, more than anyone in your normal life, understand your current lifestyle situation. Year of Training: M3/G3- Basically we have 2.5 more years until residency! Favorite Activity: I'll put a plug in for the Lisbon splash pad. 30 minutes away, but SO worth the drive! Best Vacation Spot: We did Madison Wisconsin in 24 hours with the kids. It was the perfect size city with fun things to do! Advice: The Children's Museum is most fun during nap time hours. Costco can be considered an activity. Walmart grocery pick up helps keep your sanity (the new drive up at Target is pretty great too)! Favorite Activity: Iowa has many beautiful trails. Our favorite place to go is Linders trail. 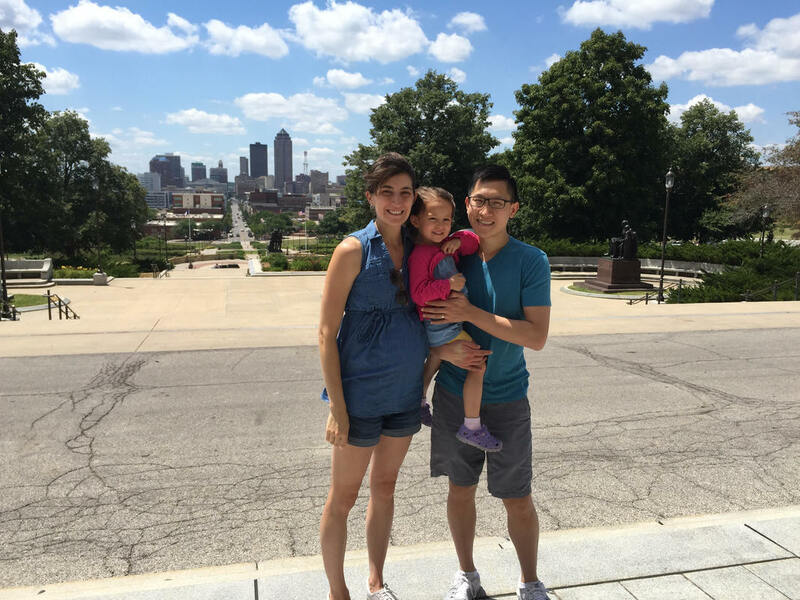 Best Vacation Spot: We haven't been here for very long but we loved visiting Chicago! Advice: When you are sad just remember that you don't look the same as you did in 6th grade. Favorite Activity: I love driving the backroads to Kalona to take in the beautiful countryside and visit their Golden Delight Amish Bakery (cheesy bread, raspberry angel food cake and pecan caramel cinnamon rolls are personal favs), hitting up Central Discount or the Stringtown Grocery stores (in the summer you can walk from one to the other but watch out for the horse manure! ), and visiting the Kalona coffeeshop which has a little play area for small kiddos. Advice: For those new to the area: Parking downtown IC is mostly paid but a few parking garages offer the first hour free. Summer is full of free activities so take advantage because the free tends to go away when school starts up. If you don't like crowds, check out activities in the surrounding towns for fun but less crowded events (Solon, Kalona etc). 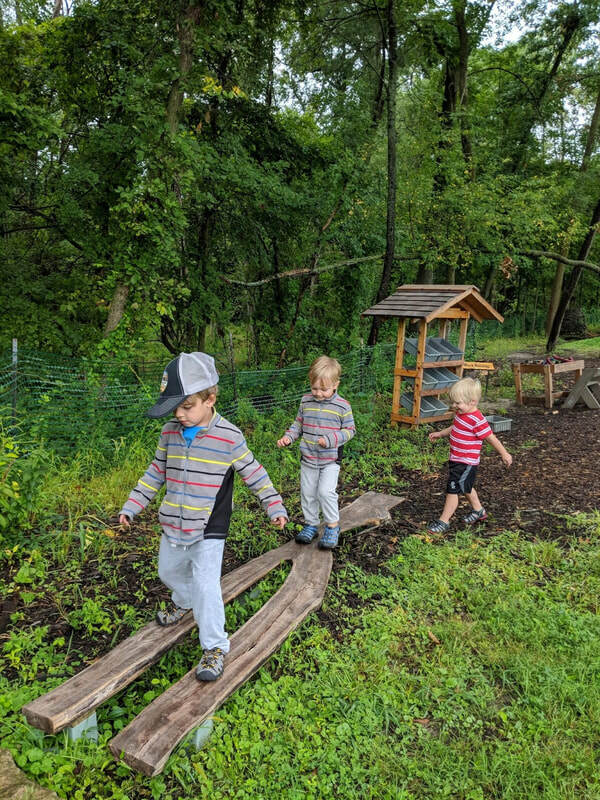 Big Grove Brewery in Iowa City has an outdoor play area for kids which makes it our "go to" for a relaxing family meal. There is an app to track the city buses on there routes. Beware of traffic on home football game days!! Especially when the game let's out. Advice: Don't be afraid to throw yourself into your new friendships even though living here may only be temporary. Also, if you're debating whether or not to wear a hat and gloves with your coat... Wear the hat and gloves. Best Vacation Spot: Haven’t been yet but we’ve heard Sugar bottom campground is amazing, planning on going this summer. 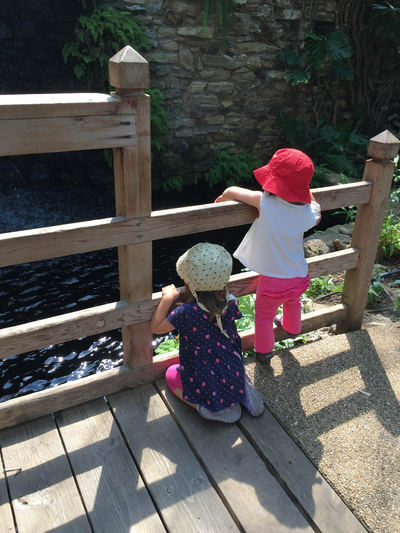 Advice: Iowa City Mom’s blog is a great resource for things to do in the area! No matter where you go or live make the best out of it . Life is short enjoy it to the max . Favorite Activity: I unashamedly love going to the North Liberty Free Lunch every day possible during the summer. It's so nice to not have to come up with lunch for my toddler! We also love Tot Lot at the Coralville Rec Center during the wintertime. Best Vacation Spot: The Wisconsin Dells! I've had a blast every time I've gone, whether I was young and single or with a toddler while pregnant, and both summer and winter there are great. Advice: Go to all the IMP activities you can when you first get here, you'll quickly make friends and have a good support network and people to help you when you need it! We have an amazing group of people here and they will make all the difference to you during this journey. We all have committed partners in the medical field, so we get it in ways that family and other friends might not. Favorite Activity: Iowa Raptor Center, Kayaking at Lake Macbride, Dining at one of Iowa City's MANY restaurant patios. Advice: I have never lived in an area that had metered parking, so I was highly confused when we first moved here. The parking meters are FREE any day after 6 pm and FREE all day Sunday and all National Holidays. The garages downtown are all FREE the first hour and only 1$ an hour after that! Advice: I've enjoyed playdates and pancake brunches at IMP members' houses, for me a better way to get to know folks than at the large group events. Don't be disheartened if your spouse doesn't get to know your IMP friends; it is just a reality of their schedules that this is almost impossible to pull off. And men are as warmly welcomed in IMP as women, so if you're a guy thinking of joining us, just do it! Unlike a lot of IMP members, I am a born and bred Midwesterner. The stereotypes are generally true. I am modest, I like my coffee black, I love ranch dressing and I say “ope!” And I wholeheartedly believe that for whatever else we may lack here in flyover country, the people in these parts are second to none. Now that the most important lesson is out of the way, let’s talk about the place that Travel + Leisure named one of the most cultured cities in the country. Kansas City is a great weekend getaway for those of us spending some time here in Iowa City. Just over 300 miles away, it’s somehow always a bit more mild in terms of winter weather. Come Springtime, take a trip to KC and you’ll find the grass really is greener and it’ll get you by before we start to warm up here. There, you’ll find lots and lots of big city amenities without some of the drawbacks a true large city would have. Traffic is not a concern, and it’s an affordable place to visit (and live). You’ll find world class art at the Nelson Atkins Museum of Art. Fun shopping in a unique setting on the Country Club Plaza (modeled after our sister city in Spain, Seville). Hundreds upon hundreds of fountains (called The City of Fountains). Fascinating and always changing exhibits on display at Union Station (as well as kid-friendly Science Center). Incredible restaurants and a flourishing nightlife in the Power & Light District. Walt Disney Studios. The world’s best BBQ (Joe’s KC or Arthur Bryants are my recommendations). The attractions are in abundance! Worlds of Fun/Oceans of Fun: if you’re making this a family weekend (or even if you aren’t), visit this amazing theme park! Loose Park: This is the most beautiful park in the city. Go in June and visit the Rose Garden. It’s also a hop, skip and a jump from the zoo, which is worth an afternoon. Boulevard Brewing: The most famous brewing company in the city offers $5 tours of its facilities. You have to arrive early, but it’s worth it! Food: Obviously, have the BBQ I mentioned above. Otherwise, I’d recommend Town Topic Hamburgers and La Bodega Tapas & Lounge. River Market: if you go in the spring or summer, be sure to make time to visit the city market on a Saturday morning. There’s nothing quite like it and in the same area, you’ll find a very interesting riverboat museum. In recent years, Kansas City has been credited on numerous lists as a top spot for hipsters and millennials. The city is really being revitalized and has been given a lot of well-deserved attention since our otherwise mediocre baseball team was in the World Series two years in a row a few years back. It swells my heart to see my home portrayed in such a positive light. Let me know if you visit! Have you been watching the show “Tidying Up” on Netflix with Marie Kondo (or read the book)? Like most of America, it has made me want to get rid of lots of our stuff. It also reminded me that I’d asked a few former IMP members for their best moving advice right after their departure from Iowa City. So whether you are moving this summer (!) or in the next few years, this advice is for you! All agreed that you should get rid of as much stuff as possible! One member said she pocked about $350 from selling at Stuff, Etc. but would have made even more money if she had started earlier. Other people prefer to sell to IMP members or on Facebook. Amid your purging, make sure you keep important papers (birth certificates, car titles, etc) in a place that you can easily find. If you are moving for a job, negotiate for higher moving costs. It is ALWAYS more than you think. Inquire if hotels, gas, food and all those other expenses are included. Look on Craigslist for free/cheap boxes and moving supplies. You can save a TON by picking up boxes this way. Maybe start looking a month or so out. Make an appt at the DMV in new city. Once former member Kristen moved, she discovered there was a waiting period of months and she would have benefited from advanced scheduling. If you have kids: Pack as much as you can while your kids are in school or occupied in some consistent kind of care (camp etc). It is much easier to pack up a box, seal and label it when you didn't have toddler hands trying to "help." Maybe even trade off babysitting with another IMP member who is moving! If you are selling your house and using a realtor (like our sponsor Tundi Brady! ), reach out early—like now --to stay on schedule for a listing around Match Day. Double check that movers cover all your furniture with furniture pads. One member warned her fast and efficient movers came at a price—almost every piece of furniture was dinged. She wishes she would have watched more closely as they loaded the truck. Consider paying to have movers come out a few days before loading the truck to organize the boxes and furniture. It made things run more smoothly on moving day for a member. Check out Penske: the prices are a little lower than Uhaul and they have discounts (AAA etc). An auto repair person also said that they have the best coverage in case things go wrong. I would also add from our moves in the past: READ the contract you sign. We went with a huge moving company about seven years ago, and they took close to two weeks to move our items (a 16 hour drive)! But, we referred back to the contract, and they only had to pay us a minimal amount for taking over a certain amount of time. I wish we would have clarified. They also forgot to load packed items in a front closet. We shouldn't have trusted them as much to be thorough. We have always been running around at the last minute leaving town. I wish we would have planned to spend the night with a local friend to tie up loose ends rather than hitting the road stressed. We did fork over money to hire cleaners so we could leave as soon as moving truck did. Not being a native Iowan, I am certain there are other IMP members who are more knowledgeable about our state capitol. Nonetheless, after two years of trading in our Texas citizenship to relocate to the Hawkeye State, my family finally ventured to Des Moines. 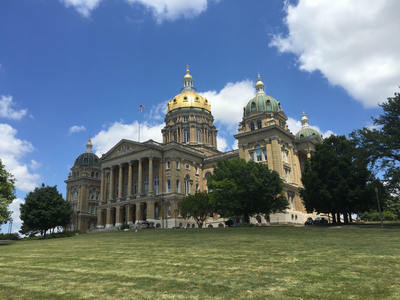 If you are looking for a quick and easy get away, Des Moines is a great city to enjoy a weekend trip. The drive is straightforward. Literally. Drive west on I-80. Less than two hours later, you will arrive to the city where our legislators are hard at work (insert winking face emoji here). For our family vacation, we stayed in the downtown area at The Comfort Inn and Suites Event Center, located at 929 3rd St. There are many different option for lodging; nonetheless, my family was very comfortable at this location. We were able to walk to many of our destinations and enjoyed the complimentary, hot breakfast. Des Moines Downtown Farmer’s Market: The farmer’s market was really entertaining and accommodated a diversity of vendors and products. You can find produce, food, art, flowers, and live music. It is a fairly large and active scene, but not overwhelming. I would definitely recommend leisurely strolling by the stands, grabbing a bite to eat, and exploring the many vendors. Science Center of Iowa: We were with family friends who had memberships to the science center in Minneapolis, so we were fortunate to save some money using the reciprocity offered with their membership. 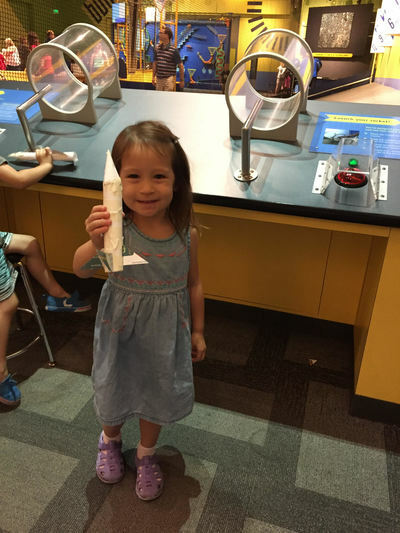 My daughter enjoyed the exhibits, hands on activities, and shows presented by museum teachers. 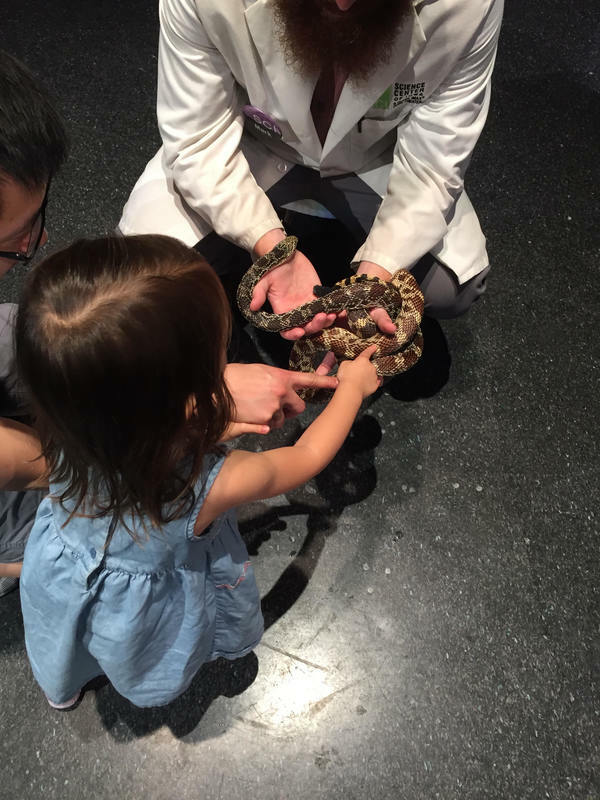 She still talks about getting to touch a bull snake! The museum is definitely kid-oriented and on the smaller side. I would put this on the list only if you need a kid-friendly indoor activity. Iowa State Capitol: Exploring the capitol should absolutely be on your to-do list if you have never been. We went on a free, guided tour, which was great for adults (and children who sit very still for long periods of time). If your family is not up for the guided tour, walking around on your own will still be an interesting and worth-while experience. Tacopocalypse: Tacopocalypse is a casual eatery featuring Asian-inspired tacos. My dentist actually recommended this spot. We weren’t blown away, but it was a fun spot with food you won’t find in Iowa City. Le’s Chinese Bar-B-Que: We were pretty excited to eat some Chinese BBQ, specifically roasted duck and pork (char siu). This is definitely not a trendy eatery, but an authentic option we would never be able to find in the Iowa City area. Bonus: the left over duck made an awesome stir-fry when we got home! Bubba- Bubba was a great spot with southern comfort food for Sunday brunch. I would highly recommend checking out their brunch while you are here. Everyone was very satisfied with their food (Especially my little one with her pimento mac and cheese). Who in IMP has been to Des Moines? What restaurants and activities do you recommend adding to our to-do list for our next visit? If you’ve met me in person, chances are you know I am from Wisconsin. We love it there! Recently we took a tour of the state. We began on the western side for an interview then made our way east to spend some time with family, then finally, we dropped the kids off at grandma and grandpa’s house and got a couple days to ourselves in Door County. ​Door County is the peninsula that sticks out into Lake Michigan, just northeast of the city of Green Bay. Most Wisconsinites will use their left hand as a map when describing where something is in the state. In this case, I’m referring to the thumb. To the west is the Bay of Green Bay and to the east is Lake Michigan. It’s a magical place that has a coastal New England feel, but is so much closer to home. According to Google Maps, it is 364 miles from my eastside abode, or a 5 hour and 43 minute drive. This is my husband and my absolute favorite getaway! We’ve only visited during the spring and summer seasons...but fall would be gorgeous with all the forestry turning colors and there would be so much to do during the winter with plenty of recreational areas for outdoor winter activities. So no matter the time of year, Door County would have something for everybody. This past trip was kind of last minute, so we didn’t plan ahead like we’ve done in the past. It still turned out great! We enjoy driving from town to town and walking around the shops, checking out new restaurants and cafes and even hitting up a winery or brewery for a tasting. We love going to at least one state park to hike or just sit and enjoy the views of the water. Our days were still filled with fun, great dining and a lot of relaxation! We did attempt to go on a kayak tour of the caves of Lake Michigan, however the weather did not cooperate and unfortunately, it was cancelled. One of the highlights of this trip was our morning spent in Peninsula State Park. The park is located along the shores of the Bay. We have known many people who camp in the park and spend a week just exploring it. We are not campers, but every trip we’ve been on, we’ve always fallen in love with something new there. We planned to rent bikes at the base of the park and ride through, but instead, we decided to hike. We drove in toward the Eagle Bluff, parked and began the Eagle Bluff trail. It was about a two mile “difficult” loop that got us in caves, climbing rocks, and also allowed us to find some tiny private beaches. In addition to the miles of hiking available, the park also has a large public beach and a number of overlooks to stop at and just enjoy the views of the water. We’ve caught a sunset or two that have been glorious! First, do you want to stay on the Lake or on the Bay? We personally are “Bay” people and love staying in Sister Bay, Ephraim, Fish Creek and Egg Harbor. There are resorts galore as well as standard hotels. If you like to camp, there are plenty of options depending on whether you tent or use a camper. AirBnB is big up there as is VRBO if you are even interested in renting an entire house. And let’s not forget about the quaint Bed and Breakfasts located all over! It is nice to find a place with a kitchenette especially if you are there for more than a couple days. It takes away the need to eat out every meal. Door County is a very popular tourist destination. When looking at accommodations, if you are planning on going “peak season,” you will pay more than off, naturally. Our stay was a little lower because we did a Sunday-Tuesday trip. What should we know about the restaurant scene? We love the dining in Door County. There are so many options! Whether you want fine dining or would rather hit up a place where the locals hang, there literally is everything! Just be mindful of their hours of operation. We found many were not open Mondays or only had breakfast served Thursday-Monday. Oh yeah, and its Wisconsin. Portions are huge! Our first night out at LURE in Sister Bay left us offering the rest of the patio a taste of our Crab Rangoon nachos. (Yes, they were as amazing as they sound, but really, I think one order would have been enough for all of IMP!) In addition to LURE, we also enjoyed Bluefront Café in Sturgeon Bay, Wild Tomato in Fish Creek, Al Johnson’s in Sister Bay (in case you want some Swedish food with goats hanging out on the roof of the restaurant) and a tiny breakfast joint called Carroll House also in Sister Bay. Located only a little over an hour and a half away, Dubuque is a great destination for a family weekend trip. It is located along the Mississippi River, and the bluffs surrounding it show off a different landscape than what most people expect of Iowa (i.e., flat). The best place to stay is the Grand Harbor Resort. They are located downtown right along the Mississippi and have an attached waterpark that is great for kids of all ages. They have everything from a zero-entry wading pool for the littlest of swimmers to larger tube waterslides. When booking at the hotel, you can get weekend passes for the waterpark bundled with your room to save some money. Or, if you choose to stay at a different hotel, waterpark-only passes are also an option. Right next door to the Grand Harbor is the National Mississippi River Museum and Aquarium. They have a great area for smaller children where they can interact with some different exhibits and burn off some energy playing. There’s a large water table that allows you to build dams and float boats down the river—a particular favorite of my daughter’s. They also have different traveling exhibits that come through, so there is always something new. 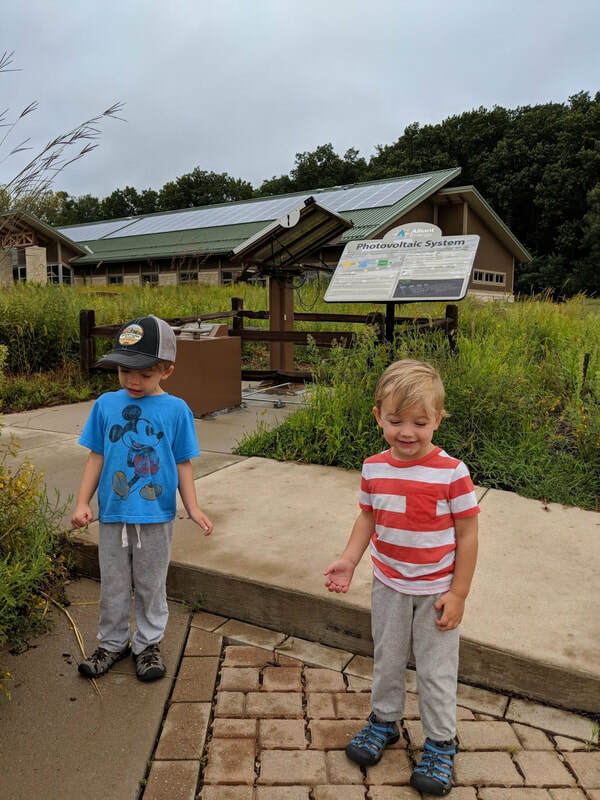 If you are looking for some outdoor activities, the Mines of Spain Recreation Area is located just a few minutes south of Dubuque and has a good selection of hiking or cross-country skiing trails (depending on the season). The Julian Dubuque Monument is also located on the bluffs within the park and offers a great view of the river. Another great option for an outdoor activity is the Heritage Trail, which runs from Dubuque to Dyersville (where the Field of Dreams is). It is a crushed limestone trail that is nice for walking, biking and running. There is also a stocked pond by the main parking lot with fishing platforms. About 10 minutes south of Dubuque is Crystal Lake Cave, and while not an especially large cave, it is definitely worth a trip with lots of great formations. If you are looking for a larger network of caves, Maquoketa Caves State Park is only 30 minutes south of Dubuque and has scenic hiking trails linking different caves, formations, and overlooks. Fenelon Place Elevator (aka the 4th street elevator to locals), which is the world’s shortest and steepest railway. It travels almost 300 feet up the side of a bluff. Dubuque Arboretum and Botanical Gardens, which includes a peaceful Japanese garden and Koi pond, as well as some recreations from classic children’s books such as Peter Rabbit’s garden and the 3 Billy Goats Gruff bridge. 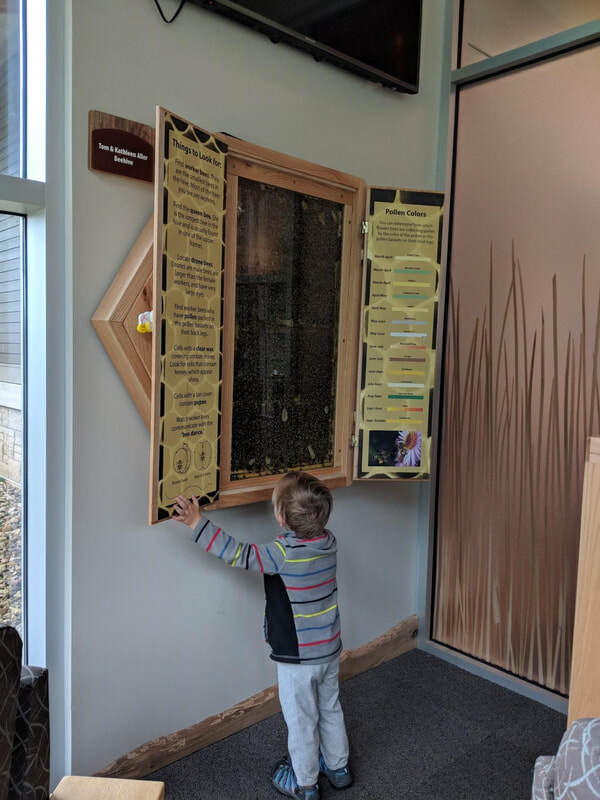 Swiss Valley Nature Center, which has 10 miles of nature and hiking trails. These trails are also used for cross-country skiing and snowshoeing in the winter. I grew up in small-town Kansas, and have a soft spot for rural life. 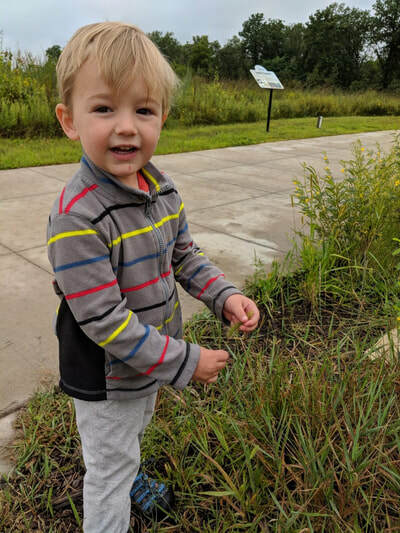 While I love Iowa City, I especially love exploring new places, meeting new people, and exposing my boys to the charm and beauty of small towns and country life. I started taking regular “field trips” with my boys last year, and I’m excited to share our journeys with you! Load up your kids and picnic basket, it’s time for a Friday field trip! Today, we are headed north for some outdoor fun and a sweet, local treat. Indian Creek Nature Center (ICNC) is roughly 40 minutes north of Iowa City. I prefer the scenic route, and followed Highway 1 through Solon, and then along the Cedar River. If you want to see some beautiful Iowa landscape, I highly recommend this route. My boys also loved yelling “Moooo” at the many cows we saw along the way. We spent our first hour in ICNCs “Amazing Space,” which is their main campus building. Built in 2016, it is one of the most environmentally sustainable buildings in the country. Inside, we explored classrooms filled with taxidermy, puppets, and children’s books. We then said hello to a few animals who call the Amazing Space their home, including a turtle, toad, fish and snakes. Also inside the Amazing Space building is a bird watching room, complete with comfy chairs, books, and a contained beehive. If you have a little one tagging along for this field trip, I recommend this area for any quiet time you may need. The older members of your crew will keep busy looking through the binoculars at the many birds, and peeking into the beehive. Have them search for the queen bee, that should keep them busy for a while! Surrounding the main campus building are four miles of hiking trails that wind through 210 acres. You have your druthers when deciding which landscape you’d like to explore. Prairie? Woodlands? Wetlands? Take your pick! 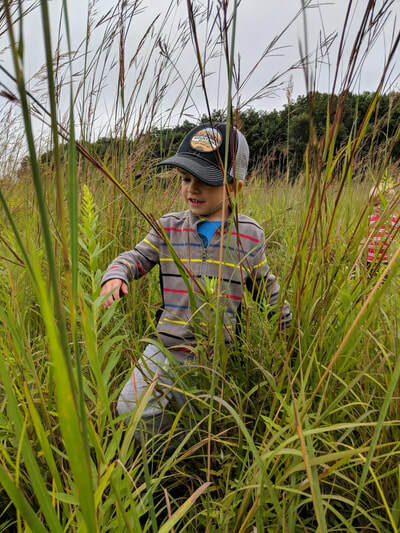 The boys and I headed off on a prairie hike, but somehow got stuck inside the labyrinth trail. I guess that’s what happens when your guides are 4 and 3! I advise grabbing a trail map from the main building, or researching the trails online before you go! 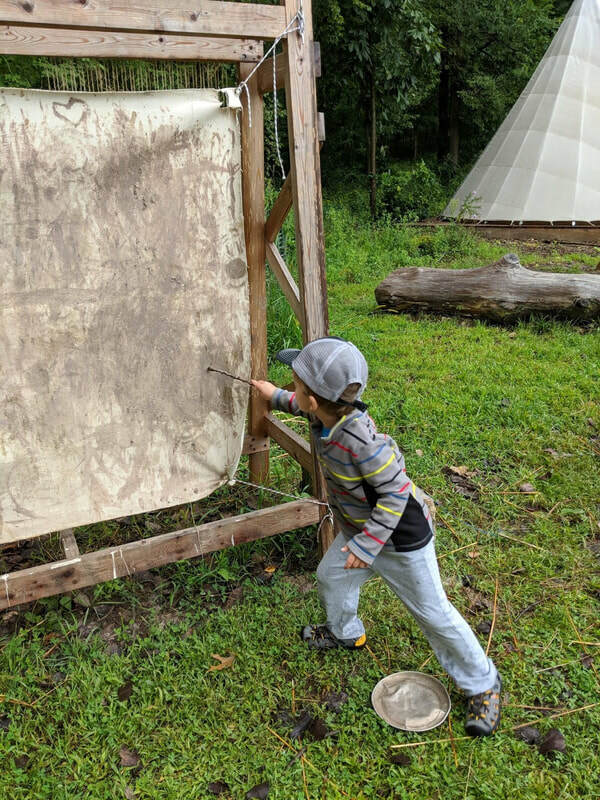 The highlight of our trip to ICNC was the outdoor nature sensory trail, complete with a full-sized teepee, mud kitchen, and functional water pump, which was a big hit! My boys could have spent the entire day in this large, child friendly space. 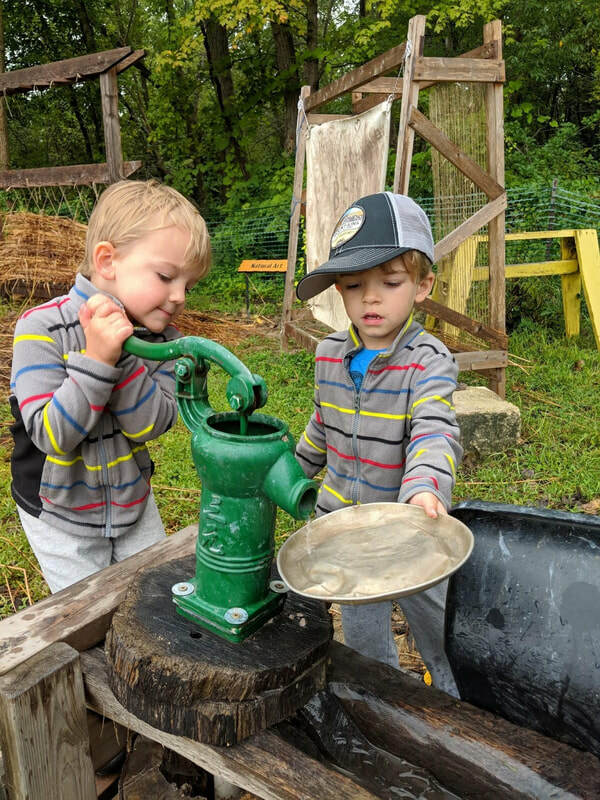 They can mud paint on canvas, balance on tree stumps, make mud pies, or do whatever their imaginations see fit. Your child (and possibly you) will most likely end up dirty, so wear appropriate clothes. After a morning of hiking and play, we enjoyed our picnic lunch at one of the many tables throughout the nature center. Before leaving, we popped back into the Amazing Space to use the restroom (yes, there are changing tables) and browsed their gift store, Creekside Shop. Pick up some raw honey or fresh maple syrup to try. The final stop on our field trip, Dan and Debbie’s Creamery, is located about 10 minutes south of the nature center. I had been waiting all summer to check this place out, and it didn’t disappoint! All of the dairy products served at the Creamery are truly farm to table. On a small farm outside of Ely, 150 dairy cows are milked twice a day and are treated like cow royalty. Each cow is given a name at birth, is milked in a parlor, and housed in a sand bedded freestall barn. Months before a cow is to give birth, she is sent to pasture for some momma-to-be R&R. Now that’s what I call a babymoon! Tours of the farm are available, but if you want the good stuff (the ice cream!) visit the Creamery, located in downtown Ely. This is where the milk from the farm is transformed into squeaky cheese curds, delicious ice cream, or bottled to sell, cream top. If you’d like to see the transformation first-hand, you’re in luck! Inside the Creamery is a viewing room, where you can watch the process from start to finish. The ice cream was truly the best ice cream I’ve ever tasted. So fresh and creamy, not overly sweet, and served at the perfect temperature. Enjoy a cone at the store and buy a pint (or 6) to take home! The Creamery also sells a handful of other local items, it’s a one-stop shop for groceries! Until next time, keep adventuring! Recently, I was asked to officiate the wedding of a good friend. Shawn has been my husband’s best friend since they were in middle school, so I’ve known him for a decade. While he can be somewhat of a troublemaker (read: perhaps not the best influence), I feel honored and privileged to lend myself to him in such an important role! For the curious, no! I have not done this before. I am not any sort of pastor or church official. I’ve heard of friends officiating weddings for friends, but never knew much about it. It’s as simple as googling “become an officiant” and filling out a form. Boom! I am now a member and a REVEREND in the Universal Life Church. A close friend of mine tells me that this could be grounds for excommunication from the Catholic Church, but I don’t believe the Vatican will be calling me anytime soon. In preparation for the ceremony, I scoured Pinterest and countless blogs about what in the world to say. Obviously, I am married (we had a full Mass) and I’ve been to dozens of weddings, but now that the script is mine to write, I am drawing a complete blank on what one says at a wedding ceremony. Does anyone pay much attention to the words spoken? Or are we all focused on the bride and groom? At the end of the day, the most important aspect of the ceremony is that the couple is, well, married. I ask them a few questions, they each say “I do” and they kiss. While I will include this, I would like to provide some meaningful thoughts and even suggestions as well. Most of my research ended up yielding the same result. Whether it a religious, civil or somewhat comical ceremony, all officiants seemed to include something in their “sermons” about three things: love, honor and respect. Writing a wedding ceremony forced me to reflect on my own marriage, which brings me to this blog post. 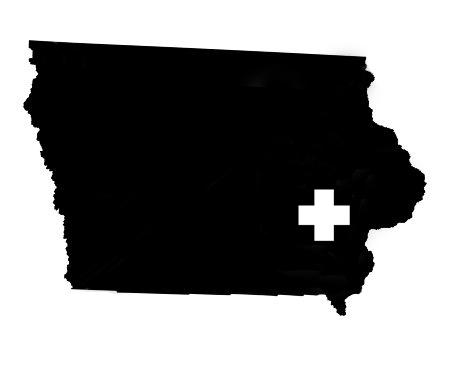 If you’re in Iowa Medical Partners and reading this (my first blog post ever!! ), then you’re obviously either married or quite committed to someone in medicine. Which, let’s face it, adds quite a bit of stress to the already difficult, although wonderful, commitment that is a long-term relationship. The medical journey is a long one and often leaves those of us NOT on the doctor-track feeling like the love, honor and respect is a bit one-sided. It can be taxing! We are so lucky to have a tribe in IMP to lean on others who just get it. But before we come out the other side, on the days when you’re really feeling stretched a little thin, maybe reflect on your own (or possible future!) wedding ceremony. Remember the words spoken in front of your home tribe and the vows that you and your spouse shared. Let your love be stronger than your anger. Learn the art of compromise and the wisdom that comes with it. It is far better to bend a little than to break. Look at me! I’m only a few weeks into being a “certified” ;) officiant and I’m already preaching. So, let me hear it. Have you ever officiated a wedding? Who married you and your spouse? What important words do you remember from your wedding ceremony? Summer in Iowa City is awesome, and the 4th of July has always been one of my favorites. There are a ton of Pinterest lists of Independence Day-themed food that I couldn't possibly all make myself. So, it was mainly selfish to host a potluck party. We were also eyeing this red, white & blue pasta salad from Lynnae McCoy. 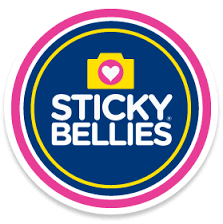 Iowa City Moms Blog has a list of activities and fireworks if you want to get out and about. We'll for sure be eating Southern Living's red velvet ice cream cake! Have a Happy 4th- see you at the Welcome Brunch on Saturday! Not much is better than a home-cooked meal you didn’t cook! One of the many IMP benefits is the ability to request meals after the birth of a child. I know this was a huge help for me! I also try to cook meals if a close friend is moving or going through another big life change. Here are some of my favorite recipes to drop off and a few other ideas. I like to do egg dishes because they can be eaten any time of the day. As a vegetarian, I never think twice about cooking for girlfriends but can be self-conscious cooking for men not knowing if they expect meat in each meal. Dishes like this egg and cheese strata from Everyday Annie seem to be hearty enough that the meat won't be missed. This strata from Weelicious is also great. You can throw some fruit or muffins in with it or even make/pick up some smoothies too. I’ve made this vegetable soup from Cooking Classy before when it looks like the new mom will be getting a lot of other heavier dishes. Give a loaf of bread with it because this is a little too healthy on its own . A a salad would complete the meal. This spinach-black bean lasagna, originally from Southern Living, is probably the dish I’ve made the most for my family the last decade. I like that this one dish can easily feed my family and gift a ton of food . Note: I double the spinach. A pasta bake like this one from Two Peas and Their Pod is easy to make and delicious. In Facebook groups, I’ve seen suggestions for taking a deli-type platter for the new mom and family to easily be able to make sandwiches at any time. Similarly, someone else once did a big basket of snacks, fruit and veggies. When I have time to bake, I love throwing in oatmeal cookies with the meal. If the mom is breastfeeding then it could be helpful, and if she’s not, well then, it’s still cookies! I don’t have a go-to recipe but have used this one from Two Peas and Their Pod and this one from AllRecipes . I also am a big fan of splitting a night with a friend--someone does any appetizer or salad and desert and the other one does the main dish. What are your favorites dishes to give/receive?? If you’re considering becoming an IMP officer next year, the favorite things exchange among leaders at Target should definitely be taken into account. Pursuing the aisles looking for the perfect items is way too much fun. You probably know the premise- buy something (or multiple things at same price point depending on how you are doing it) and then pick someone's name (or two or three people's), and they get your item. You leave with great things and get ideas from what everyone else landed. Paper Mate marker pens are apparently beloved by teachers for not bleeding through paper. You can buy a lot of stuff for $20 from Target. I was the only one who used the money for one item (Cravings cookbook by Chrissy Teigen). Less math involved (and I do love cookbooks). We love Method multipurpose cleaner and hand soap. Target has the best snacks (gummy worms, Bare apple chips, Justin's peanut butter cups and some chocolate/madeleine hybrid were all chosen. An oil mister, hair towel wraps and travel phone charger also popped up. The "dollar" area can be a great source- especially for cute notebooks and stationery. Gift cards: You won't win awards for creativity but who doesn't love an excuse to go to a coffee shop or cupcake place? Trader Joe's: Wine, everything but the bagel spice mix, desserts, tea--so much to choose from at a good price point. I brought tea and shortbread cookies to my last party. Hand lotion, face masks or sunscreen. I'm already thinking about what I'll pick for a future party. Who's hosting?? Your Partner Matched at UIHC- Now What?? When my husband announced “Iowa!” into the mic at our Match Day ceremony, the acoustics must not have been that great. My mom was among the hundreds gathered for the big day and proceeded to text family & friends that we were headed to Ohio. He didn’t even interview in Ohio. Clearly, we aren’t from the Midwest. In fact, I didn’t step foot in Iowa until moving day. Whether you’re from the Midwest or far away and whether University of Iowa Hospitals & Clinics (UIHC) was your partner’s first or last choice (which of course may be different from your preferences), I am confident you will love this community during your time here. Welcome from all of us! Iowa Medical Partners (IMP) is for partners, male and female, of residents and fellows at UIHC. You can be as involved as you’d like. Our closed Facebook group for members is a wonderful sounding board for advice. There are also tons of events. Some are during the day and geared more for stay-at-home parents, others are adult-only at night and some are for the whole family on weekends. As I look back on the summer of 2016 when we moved to Iowa City, I am so thankful for IMP. I was just entering my second trimester with a 2.5-year-old in tow and was transitioning to staying at home. IMP play dates got me out of the house, introduced me to people and allowed me to explore the area. It helped me to feel grounded and connected. This new group also was a wonderful support system when I had complications with my pregnancy/birth far from family. I could not have anticipated all of this on Match Day...I was clinging to reassurances from my husband that Iowa City would be a great fit for us. My family lives in University Heights, an area near UIHC, but many friends live on the east part of Iowa City, in Coralville and North Liberty. Some own but many rent. I realize that this does not narrow things down but know that we have been where you are and can answer specific questions you may have. If you are buying, the market is hot. Houses in desirable areas and at good price points sell in days. The move to Iowa City (or staying!) may be about your partner, but there is so much for everyone here. Let us know who you are and if you have any questions! "Last spring I was fed up with my adult acne, sun damaged and dull skin. I mean "come on! I'm only 33"! But after years of playing softball in the Florida sun, 3 babies who screwed up my hormones and a medical life leaving me little time/motivation to care for my skin, my face had decided to rebel on me. My sister had started one of "those" sales businesses and tried so hard to get me to try the products. She even sent me a whole regimen for Christmas. When I finally got around to trying it in February, I knew I couldn't go back! My skin had changed in just 4 short weeks it was clearer, softer and more vibrant. I fell in love with my skin again. So here I am, one of "those" people on FB helping her friends change how they feel about their skin! Here's a little teaser for anyone wanting amazing lips and skin!" For our 8th day, Jamie is giving away a Merry Kissmas gift pack. 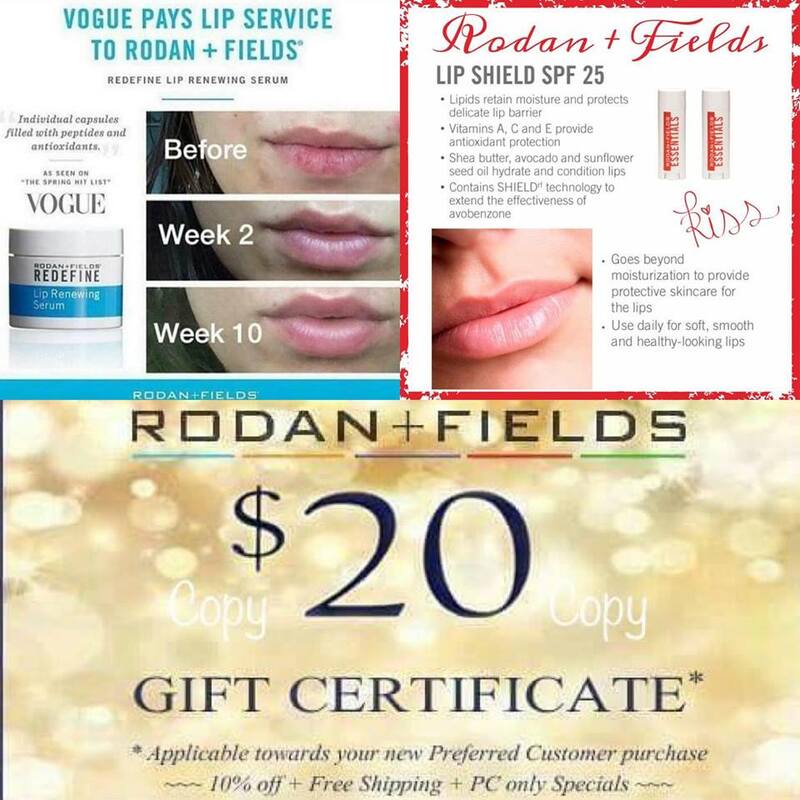 A 60 day supply of Rodan+Fields award winning Lip Serum, coupled with Lip Shield will keep those lips kissable all winter. To top it all off, $20 gift certificate to use towards your future purchase or to gift to a loved one. This sounds pretty great to me right now! To enter, tell us your favorite winter indulgence! Is it a bubble bath, hot chocolate by the fire, etc? Happy December! Today I want to talk about favorite winter activities, because I really love them all. Curling up by the fire? If I had a fireplace, then sure! Comment here and tell me your favorite winter activities and why you love them for a chance to win FOUR ice skating passes to the Ice Rink at Coral Ridge Mall! A random winner will be selected and announced tomorrow morning. Keep checking back for our giveaways each day! 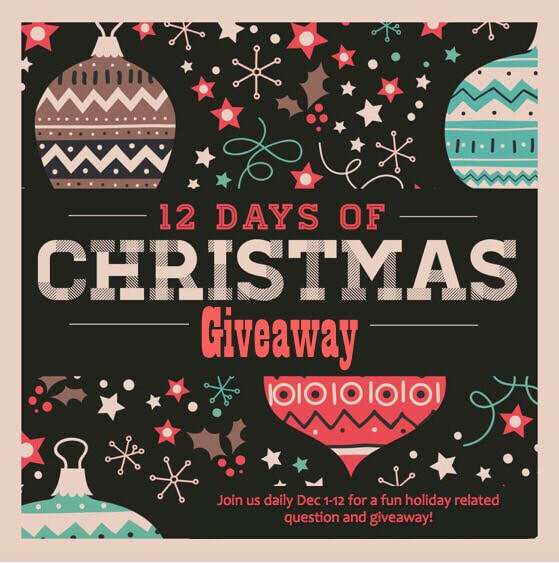 Welcome to our 12 Days of Chirstmas Giveaway Series! We are excited to add a little extra cheer to your holidays with these giveaways from December 1st through the 12th. The daily winner will be chosen using random.org and we will announce winners the following morning. Day 1: One of my favorite parts of the Chirstmas season is squeezing in all of our favorite holiday traditions. We have several we do but one that the kids never let us forget is decorating gingerbread houses! I have made these since I was a kid and love sharing the fun with my own kids now. Does your family decorate gingerbread houses? Comment below to enter! 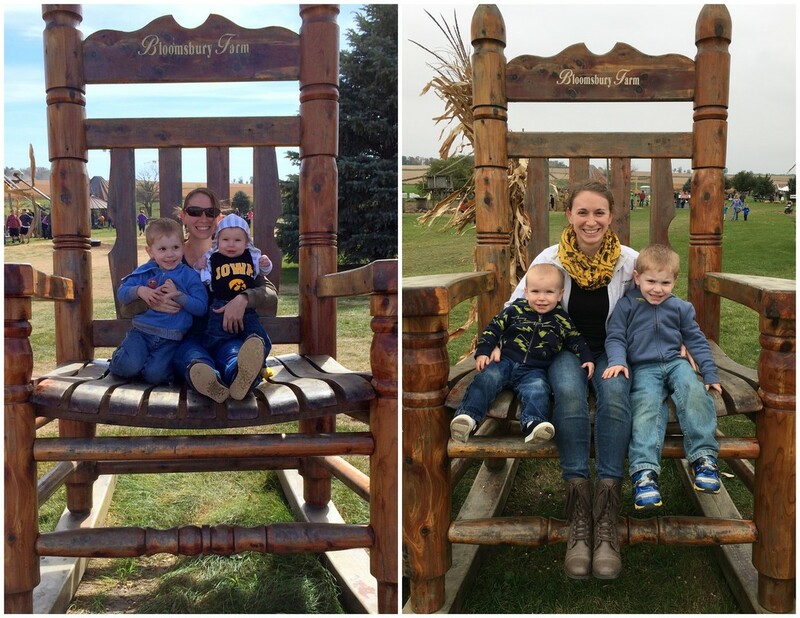 Have You Been To Bloomsbury Farm? ​Bloomsbury Farm is easily one of my favorite places to visit every fall, and with this being my last year in Iowa I have already planned a date to go! I have an ambitious list of things to do before this baby arrives in October, and Bloomsbury is at the top of my list. Driving to Atkins (west of Cedar Rapids) is 100% worth it for a day at the farm. There is SO much to do and there are things for all ages – obviously I enjoy myself, but my kids (both under the age of five) also have so much fun! 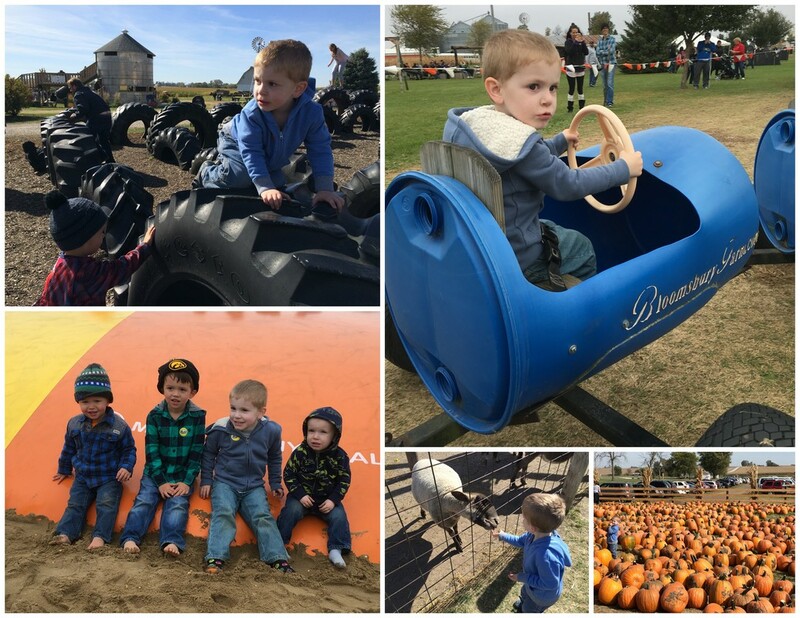 Bloomsbury is home to the area’s largest pumpkin patch and countless activities both large and small including a 10-acre corn maze, hayrack rides, a jumping pillow, pedal carts, and a corn box. ADMISSION M-F is $8.50+tax & Sat/Sun is $12+tax | Fee is per person, kids under age 3 are free! Check out their website bloomsburyfarm.com to buy tickets online and for more info on bigger attractions such as the flashlight maze, the ZIP, and the pumpkin cannon. Wait, that’s not all! Karen, the owner of Bloomsbury, has provided us with two FREE admission tickets to give to one of our members! To enter the giveaway, comment on this post and tell us what you can’t wait to do when you visit Bloomsbury Farm. For extra entries, “like” their facebook page and/or follow them on Instagram (bloomsburyfarm1856) then comment to let me know that you found them. Another great park that is secluded and away from busy roads. 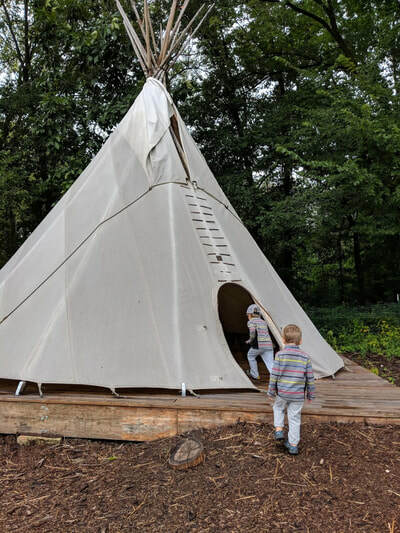 The structure at this one is large and great for all ages. There are small carnival style rides available from 1pm-7pm during the summer and on weekends only from 1-6pm after the school year starts. Cost is $1 per ride or $8 for a 10-punch card. A large park with lots of fun for the kids! It also has an indoor tot time so if you’re headed to the park and rain is a possibility (because…Iowa) then this is a great one to go to with a back up option! A fun North Liberty option with a great spider web climbing activity, a shield swing and lots of slides! Below are a few of the events members noted as being their favorites for the warmer months. Facebook is a great place to find events going on near you and you can also google any of these to get exact dates. I know that most have already passed for the year but the Kids Day at Kinnick is still coming up in August! Alright members...Any other seasonal favorites?? Or other fun parks/area activities that were missed? One of the hardest parts of moving to a new city is leaving all your favorites behind. You no longer know where to go if you want amazing street style tacos or that breakfast that will rock your world. Before we moved here last year I started researching everything from doctors to places to eat to favorite parks the day my husband matched here. Anyone who knows me well knows that I love to be super prepared and know “all the things”. So, when I arrived at my first Welcome Brunch last summer the Best of list that they gave us became my life line! A lot of the places and people recommended on there were ones I had found in my research which confirmed they were a must for us to try. So, this year we made another Best Of list so we could keep it up to date and relevant for you all! I polled last year’s IMP members and had them vote on their favorites as well as leave any extra recommendations they had for new Iowa City residents. Here is a little break down of what won out as well as some tips/tricks that I have learned or heard. So…lets start it off with which Restaurants came out on top this year! These 5 were the ones that members voted as the best in the area and their absolute favorites. My husband and I have tried all of these and I have to agree…they’re SO good! Great date night spot but also extremely family friendly. Their patio is our favorite when the weather is just right. Red’s is usually extremely busy most days of the week and they do not take reservations. They do however do call ahead an hour before you plan to go which I highly suggest- especially if you want the patio! A great burger spot extremely close to the hospital. They also offer black bean burgers if you’re not a red meat person and superb personal pizzas if you’re not in the burger mood. Monday nights are also half price burger nights! Another great date night location and you can’t go wrong with anything on the menu! My husband and I thoroughly enjoyed their shoestring onion rings and their crème brulee duo (dark chocolate and vanilla bean) made this pregnant lady very, very happy! 1. Wig & Pen (Iowa City)- the flying tomato is a must try! 2. Geyer’s Outdoor Oven (Oxford)- Only open the 2nd and 4th Thursday of each month from June to September. It is a little farm about a half hour outside of town and an essential Iowa experience. Cost is $12 per adult for all you can eat pizza. Bring your own drinks, blanket and chair! 2. Hamburg Inn (Iowa City)- Great for breakfast and milkshakes! Pullman Diner (Iowa City)- Voted one of the best diners in all of Iowa! 1. Heyn’s Ice Cream (North Liberty and Iowa City)- Hands down best ice cream. Their coffee oreo and monster mash are two favorites in our family. We live walking/biking distance from Heyn’s so it has become a staple for our summer (and spring and fall) nights! Now that you are craving a ton of different restaurants and starting a checklist of where you want to try first…lets move on to the important stuff. The stuff you usually don’t think about until you need it like doctors, dentists, hair dressers etc. I won’t give any extra tips/tricks on many of these because I haven’t used or been to most of them! 1. Dr. Shivgami Aurora (NL)- this is who my kids go to and we adore her! I will post the remainder of the “Best Ofs” including parks, pools, splash pads and fun seasonal activities week after next! Have other recommendations for new Iowa City residents or other tips/tricks for the ones above?? Post them in the comments below!! Budget Friendly Finds in the Iowa City Area + Giveaway! Ah- the beginning of another medical year. Whether you are just starting out your medical journey or if you are nearing the end, it’s a wonderful time to plan for the year ahead. Time to puzzle together how to pay for those upcoming board exams, licensing fees and even that much needed vacation! Our family has been at it for 4 years now, about to enter our 5th year (of 6) with a training salary supporting us. It’s not always fun, but we are lucky to be in an area like Iowa City where it is possible to survive and even thrive on a budget. Buy Nothing Iowa City (or Coralville/North Liberty; you must be a resident of the city group you join)- The Buy Nothing movement is intended to give away your goods locally to create a greater sense of community. Johnson County Baby/Toddler/Kids Swap Board- kids (and maternity) clothing, accessories, toys, and supplies. 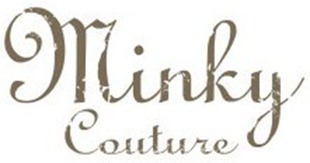 Stuff Etc.- Coralville and Iowa City; Consign your clothing, toys, housewares, etc and enjoy shopping in this quality Iowa consignment chain. They really do have it all! Kidworks- Iowa City; Baby-teen clothing, shoes, accessories, toys, books, baby equipment and maternity. 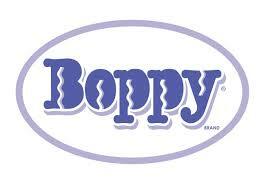 This is a very popular place to sell or buy the much-needed items for children at fantastic prices. Houseworks- Iowa City; Buy/sell most things home related such as furniture, lamps, kitchen goods, artwork and interior decorations. ReStore- Iowa City; Donate and shop for items you need for your home. They accept/sell furniture, appliances, left over building materials, etc all while helping support local Habitat for Humanity efforts. Free donation pickups can be requested as well. Flat out- Iowa City’s grocery store offerings are ridiculous. Everywhere you look, there is a place to buy food. And it’s high quality and affordable too. Hy-Vee and Fareway are the main stores in the area and are both native to Iowa. If you haven’t experienced the “Iowa Nice” yet, just go into one of these stores. You’ll get it. Wal-Mart and Target, although not "Super" stores or centers, each have their affordable take on a market as well. And yes, Costco. I couldn’t write a blog post for the Iowa Medical Partners on saving money without mentioning the beloved Costco. I am not a member (I know- GASP!) but I have been a guest in the store, like it, and know that several members could not survive without it. There are a few other stores that might not be familiar to everyone but each is worth checking out. Aldi- Coralville and Iowa City; A popular national chain. Bring a quarter for a cart and your own shopping bag and save a ton! Lucky’s Market- Iowa City; The feel of a local market with huge produce sales weekly. Bring your own bags and receive money off your bill, or choose to donate it to a local charity. Natural Grocers- Iowa City; A company based out of Colorado with a brand new store in town. Organic and healthy food options at affordable prices! And if that’s not enough, there are farmer’s markets, farm stands and crop share opportunities all over and oh yes, Trader Joe’s is opening soon! There are ways to save on gym memberships, eating out and entertainment as well, but those will be for another day. In the meantime, we are all in this together. Share your favorite way to save money or stay on budget in the comments below and be entered in our giveaway drawing for a $10 GIFT CARD to ALDIi! I'll announce the winner Monday, so please post your comment before then. Happy exploring, happy saving and to all, a VERY Happy Medical New Year!